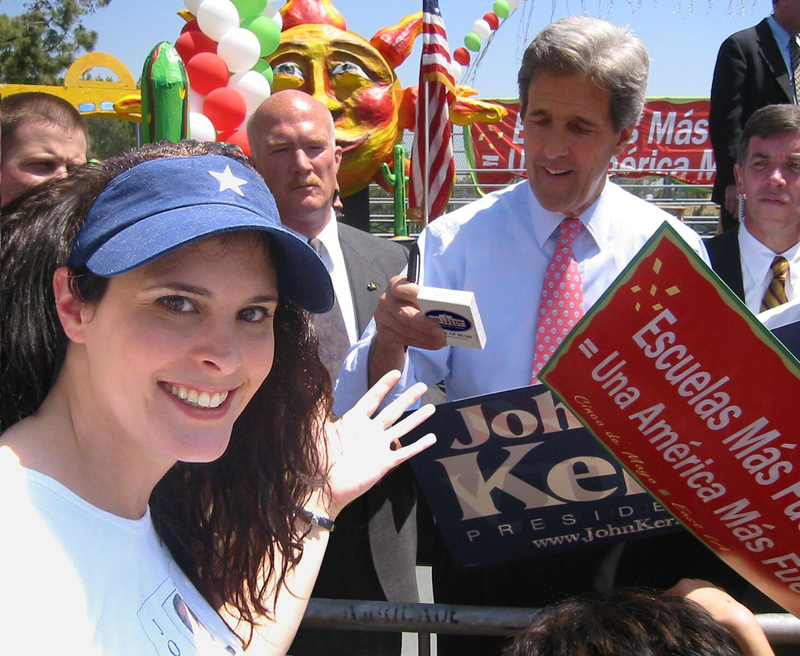 Speaking at Woodrow Wilson High School in Los Angeles about the importance of education in America, Senator John Kerry was pleasantly surprised to meet Jerry and Lisa Vasilatos, the husband and wife creative team behind the "Deck of Bush" and "Deck of Republican Chickenhawks" playing cards. The couple's two decks, which cite 54 reasons not to re-elect George Bush and identify the 53 pro-war Republicans who rallied for war but dodged service, have been a hot political novelty in select bookstores across the country and are also available for purchase online at: http://www.deckofbush.com and http://www.chickenhawkcards.com. With presidential campaigns spawning a cottage industry of activist related items designed to endorse different candidates and agendas, Lisa, who is an actress, and Jerry, who is a filmmaker, created their controversial anti-conservative playing cards last year. They do all order fulfillment by themselves out of their small office in Los Angeles. So far, they have sold more than 5,500 "Republican Chickenhawk" decks and are now filling orders for the "Deck of Bush." With the information they contain identifying the failures of the Bush administration, each card in the deck references a news source backing up each fact. 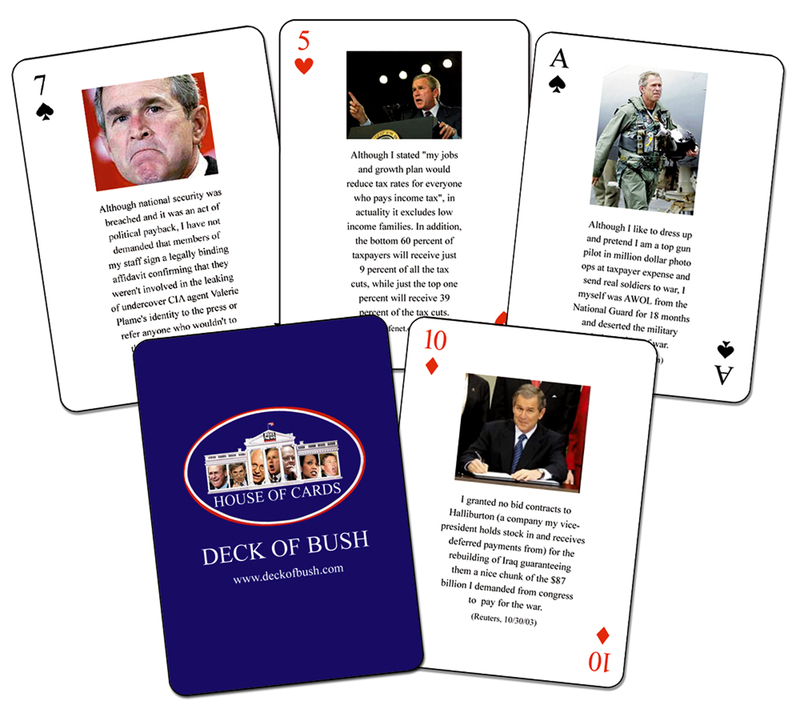 The "House of Cards: Deck of Bush" can be viewed online at http://www.deckofbush.com. The "Deck of Republican Chickenhawks" can be viewed online at http://www.chickenhawkcards.com.